In 2015, Phillips claimed that he was “bombarded by racial slurs” by students at Eastern Michigan University. 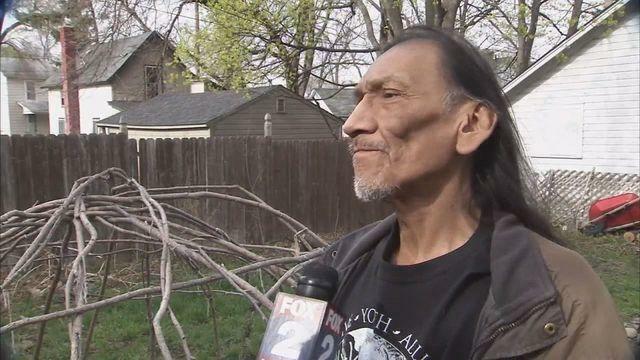 As Fox 2 Detroit reported, an Ypsilanti man says he was trying to teach a few students dressed in American Indian theme party about respecting Native Americans. 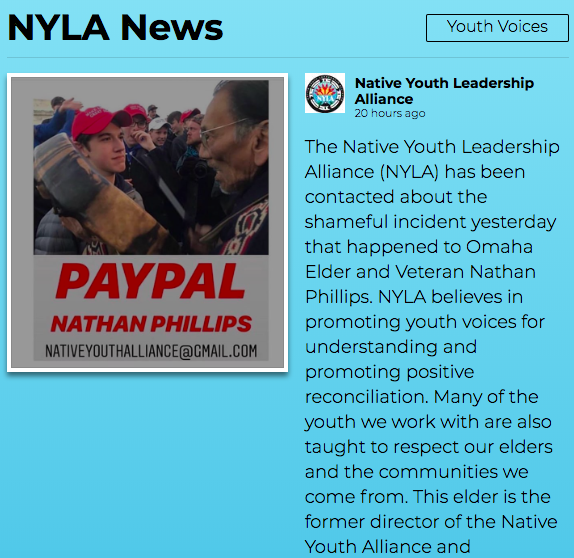 Not long afterward, Nathan Phillips said that an interaction with party-goers and students turned ugly. "They had little feathers on, I was just going to walk by," Phillips said. "A group of them said 'Come on over, come here.'" "They had their face painted," Phillips said. "I said what the heck is going on here. 'Oh we are honoring you.' I said no you are not honoring me." "Then started whooping and hollering," he said. "I said that wasn't honoring, that was racist. Then at that time, it really got ugly." 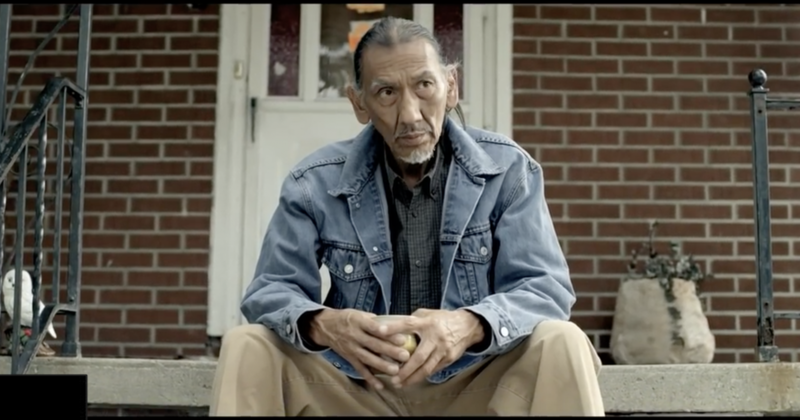 "(They said) 'Go back to the reservation, you blank indian,'" he said. "If I would have stayed where I was at, it would have hit me in the head," he said. "I backed up and it hit me in the chest." "By the time police got there, it was like there was no party there at all," he said. Phillips filed a report with campus police who tell FOX 2 they are investigating the matter. "Whoever would sit judgement on them, the university the law, society, that is their job," Phillips said. "I will pray for them that they will see a better way." Additionally, Phillips starred in a 2012 Skrillex video called “Make It Bun Dem,” in which Phillips does some spiritual warfare connected to a violent attack on a police officer. 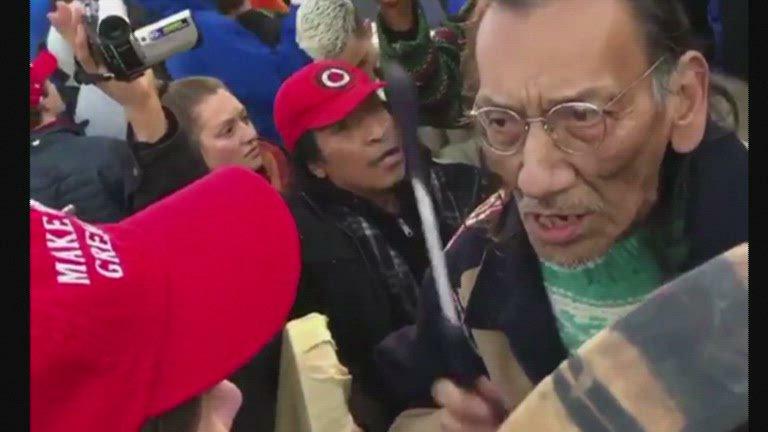 Phillips is not simply a random Native man who was accosted by “racist” MAGA-hat wearing teens, as the mainstream press has reported. 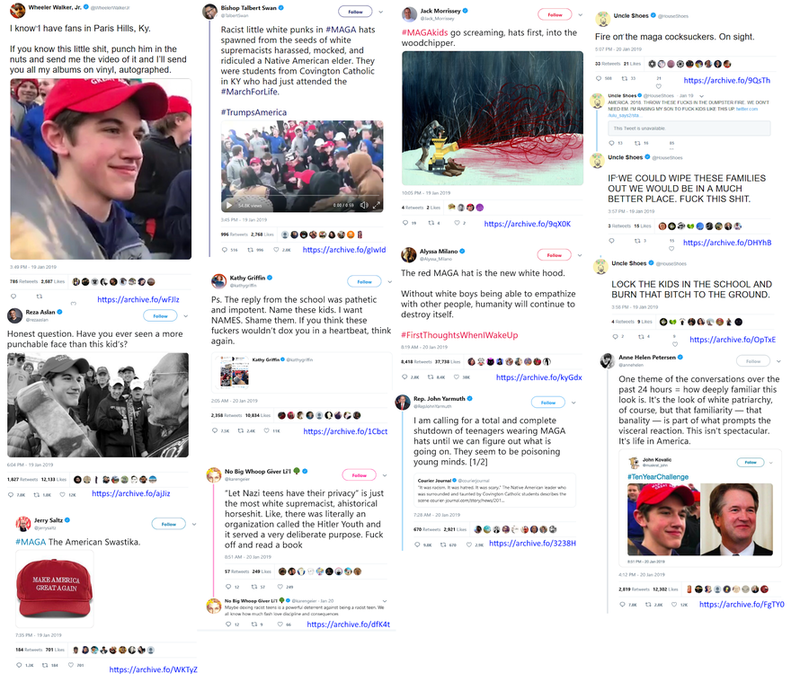 He is connected to leftist activists who donate large sums to leftist causes. Stay skeptical, question everything... appears to be the best way to handle the currently reality that we are fed every day. The oligarchs know, divide-and-conquer works and don't care about the inevitable blood on their hands.